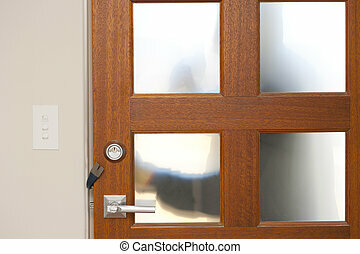 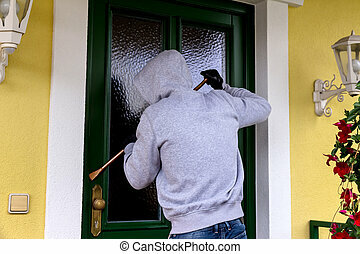 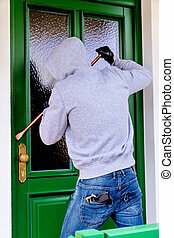 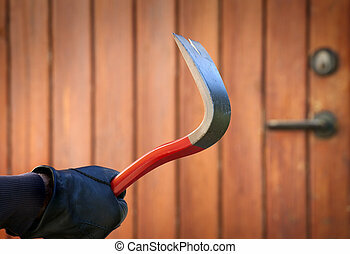 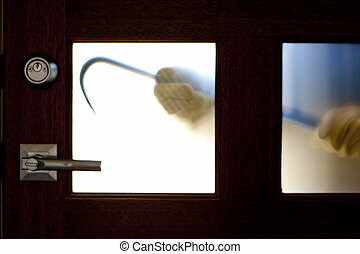 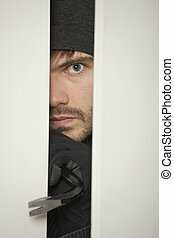 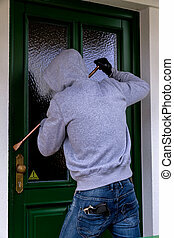 Burglar with crowbar at house door. 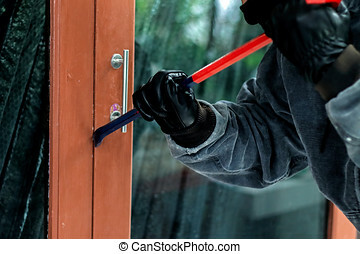 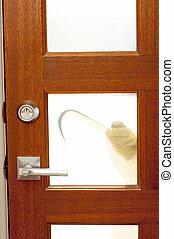 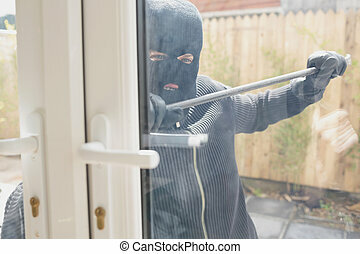 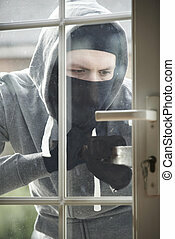 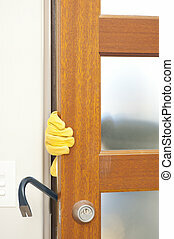 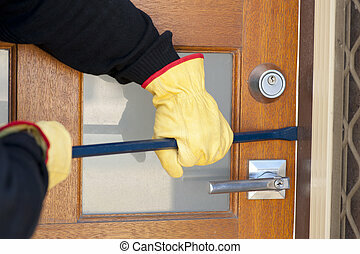 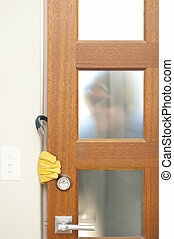 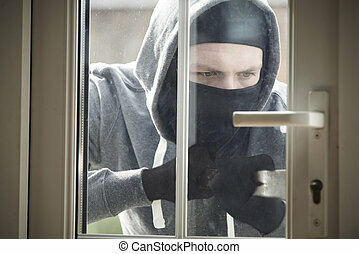 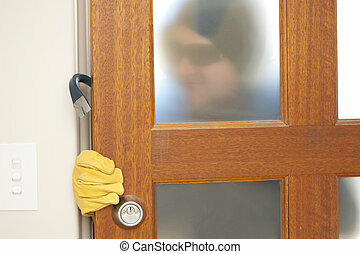 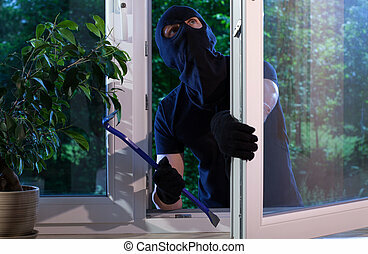 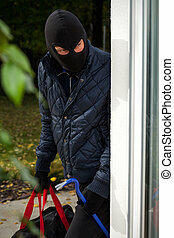 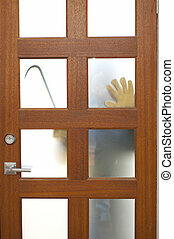 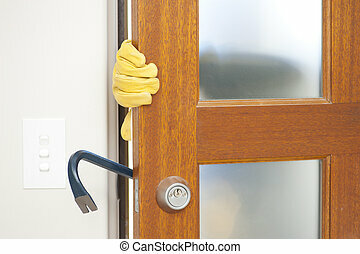 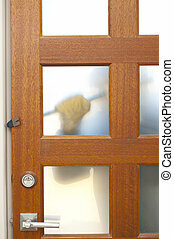 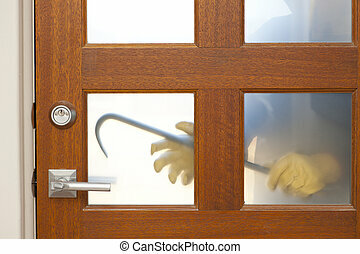 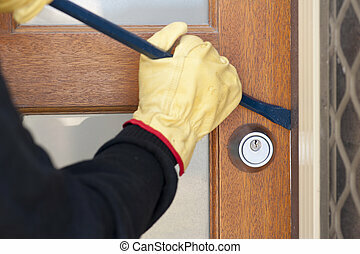 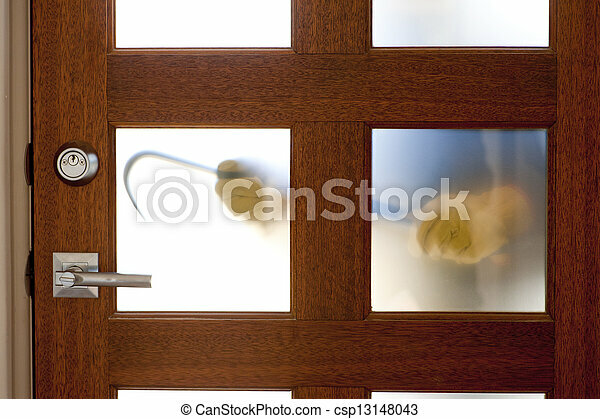 Hands of burglar, thief with gloves, holding crowbar trying to break in home, unlock door, blurred visible silhouette behind milky windows, with copy space. 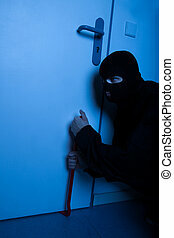 a burglar trying to break a door.